Ok this post is really evolving so bare with us here. 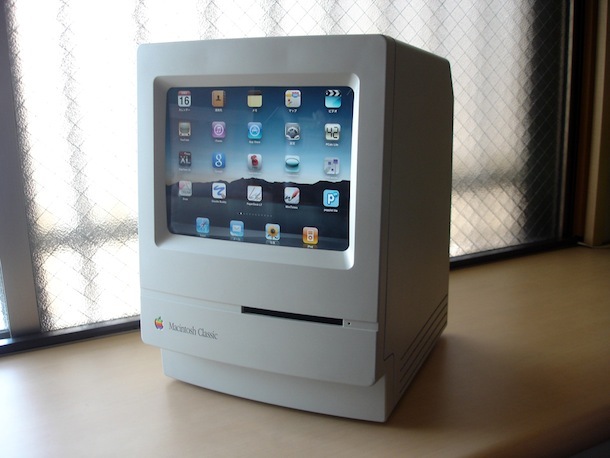 We originally posted a picture of the iPad in a Mac Plus and that was fun, but then a few readers wrote in with additional pictures and a video of an iPad in a Mac Classic, and finally a full on guide on how to create this great iPad case yourself. You can also check out a PDF guide so you can see it at a larger size. The PDF is in English but the guide is in Japanese, thanks to plenty of pictures and Google Translate it’s easy to follow though. It looks actually not too difficult to make. I wonder if anyone will start selling these? Afterwards you could actually sync and use a bluetooth keyboard with the iPad and it’d make for an awesome retro desktop case/stand for the iPad. Finally a use for that dead Mac Plus gathering dust in your closet! 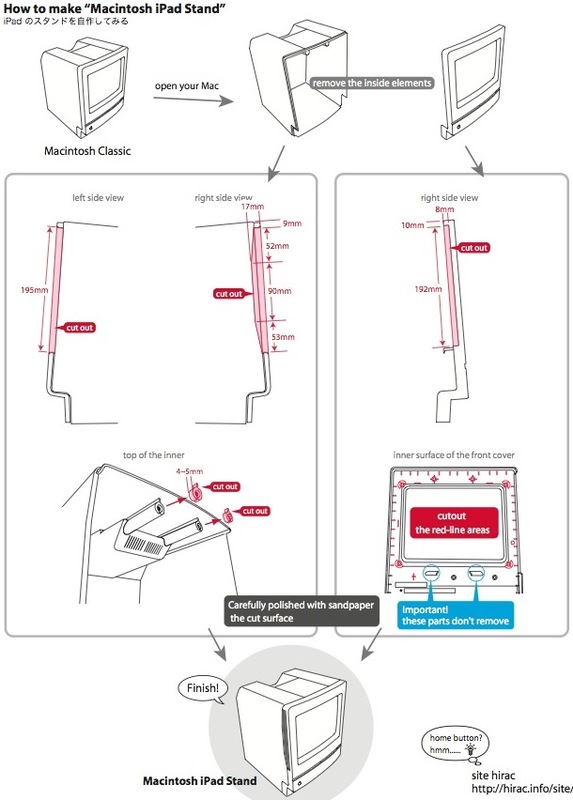 The above picture is what started this all but it’s not following the Japanese how-to guide which creates a much more flush and professional installation. 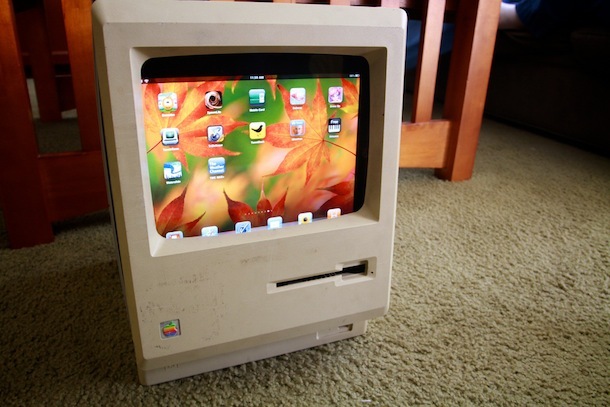 Combining the old with the new, why not stuff your iPad into the Mac Plus’s screen space? You could probably use a Mac SE, SE/30, Classic, or Plus, since they all share the same type of enclosure. Awesome idea, though only for the geeky crowd – “Because I can” just doesn’t resonate with your average Mom & Pop consumer. I love it! That’s a wonderful way to incorporate the old and the new. 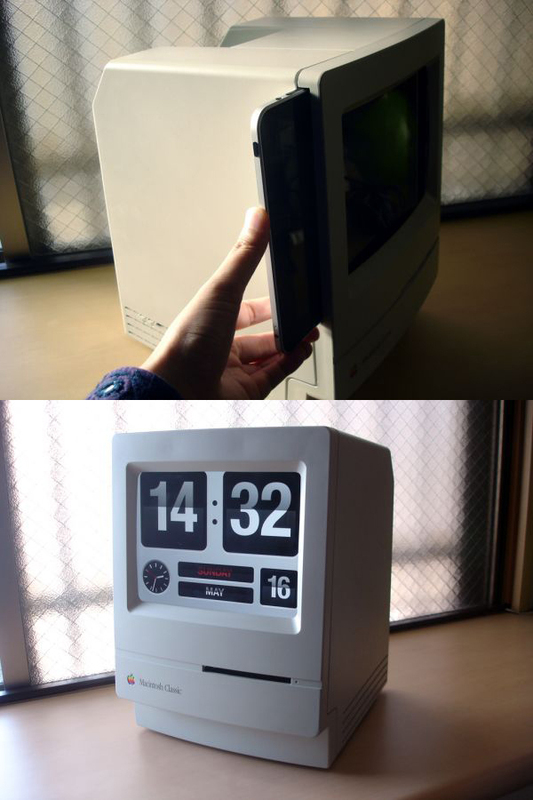 It’s absolutely fun what these Mac owners have done. Good for them! Bravo!